All-Party Parliamentary Group on Arts, Health and Wellbeing Inquiry Report (2017). Creative Health: The Arts for Health and Wellbeing. Beaulac, J., Kristjansson, E. & Calhoun, M. (2011). ”‘Bigger than hip-hop?’ Impact of a community-based physical activity program on youth living in a disadvantaged neighborhood in Canada.” Journal of Youth Studies. Vol. 14, No. 8, s. 961–974. Cain, M., Lakhani, A. & Istvandity, L. (2016). ”Short and long term outcomes for culturally and linguistically diverse (CALD) and at-risk communities in participatory music programs: A systematic review.” Arts & Health. Vol. 8, No. 2, s. 105–124. Hanrahan, F. & Banerjee, R. (2017). ’It makes me feel alive’: the socio-motivational impact of drama and theatre on marginalised young people. Emotional and Behavioural Difficulties. Vol. 22, No. 1, s. 35-49. Känkänen, P. (2013). Taidelähtöiset menetelmät lastensuojelussa: kohti tilaa ja kokemuksia. 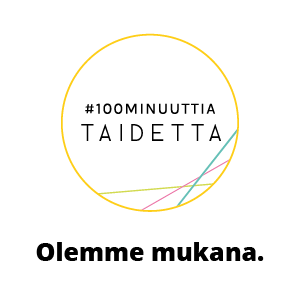 Tutkimus 109. Väitöskirja, Helsingin yliopisto. Helsinki: Terveyden ja hyvinvoinnin laitos. Känkänen, P. & Rainio, A. P. (2010). ”Suojassa, mutta näkyvissä – taidelähtöinen toiminta osallisuuden rakentajana lastensuojelussa.” Nuorisotutkimus. Vol. 4, s. 4–20. Secker, J., Hacking, S., Spandler, H., Kent, L. & Shenton, J. (2007). Mental health, social inclusion and the arts: developing the evidence base. Final report. Anglia Ruskin University / UCLan Research Team. Wright, P., Davies, C., Haseman, B., Down, B., White, M. & Rankin, S. (2013). Arts practice and disconnected youth in Australia: Impact and domains of change. Arts & Health. Vol. 5, No. 3, s. 190-203. Averett, P., Crove, A. & Hall, C. (2015). The Youth Public Arts Program: Interpersonal and Intrapersonal Outcomes for At-Risk Youth. Journal of Creativity in Mental Health. Vol. 10, No. 3, s. 306-323. Catteral, J., Dumais, S. & Hampden-Thompson, G. (2012). The Arts and Achievement in At-Risk Youth: Findings from four longitudinal studies. The National Endowment for the Arts. Washington DC. Siivonen, K., Kotilainen, S., & Suoninen, A. (2011). Iloa ja voimaa elämään: nuorten taiteen tekemisen merkitykset Myrsky-hankkeessa. 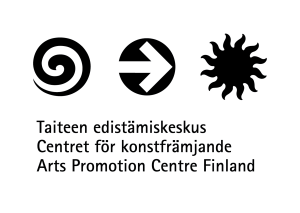 Helsinki: Nuorisotutkimusverkosto, Nuorisotutkimusseura. Vilmilä, F. (2016). Elämäntaitojen äärellä. Taidetyöpaja nuorten elämäntaitojen vahvistajana. Nuorisotutkimusseuran verkkojulkaisuja 102. Goulding, A. (2012). How Can Contemporary Art Contribute Toward the Development of Social and Cultural Capital for People Aged 64 and older. The Gerontologist. Vol. 53, No.6, s. 1009-1019. Hampshire, K.R. & Matthijsse, M. (2010). Can arts improve young people’s wellbeing? A social capital approach. Social Science & Medicine. Vol. 71, No. 4, s. 708-716.